President Vladimir Putin’s request for Russian forces to be used in Ukraine has been approved by the upper house of parliament. Vladimir Putin had asked that Russian forces be used “until the normalization of the political situation in the country”. Russia’s Black Sea Fleet is based in the Ukrainian region of Crimea, where many ethnic Russians live. Kiev has reacted angrily to days of military movements in Crimea, accusing Moscow of trying to provoke the new government into an armed conflict. Interim President Oleksandr Turchynov has called an emergency session of his security chiefs. Vladimir Putin submitted the request for troops “in connection with the extraordinary situation in Ukraine and the threat to the lives of Russian citizens”, the Kremlin said. Earlier, the lower house of parliament had urged the president to take whatever measures were necessary to “stabilize” the situation in Crimea. During the upper house debate, one legislator accused President Barack Obama of crossing “a red line” with his comments that there would be costs if Russia intervened militarily in Ukraine. The upper house has recommended that the Russian ambassador the US should be recalled, although the decision lies with Vladimir Putin. The request follow days of military activity in Crimea during which unidentified armed men moved in to take over the regional parliament, state television and telecommunications hubs. 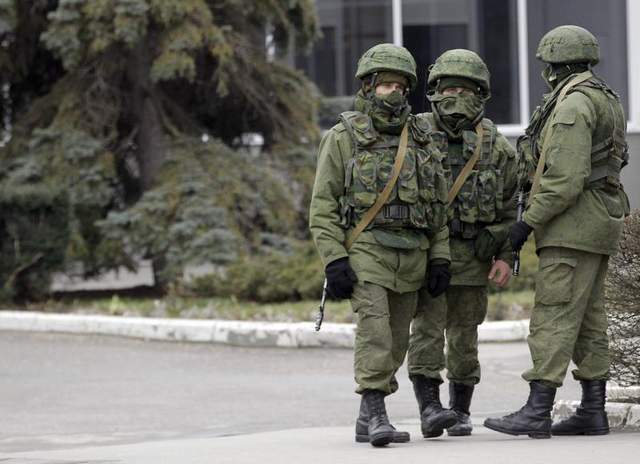 Soldiers from Russia’s Black Sea Fleet, which is based in Crimea, are reported to be guarding some administrative buildings and military bases. Amid the closure of airspace over Crimea’s regional capital Simferopol on Friday evening, there were unconfirmed reports that Russian planes were flying in thousands of troops. Ukrainian Defense Minister Ihor Tenyukh said on Saturday there are now an extra 6,000 Russian troops in Crimea, alongside an additional 30 armored vehicles. Under the agreement governing the presence of the fleet in Crimea, the Russians must co-ordinate all troop movements outside the fleet’s base with the Ukrainian authorities beforehand.